While 'Crazy Rich Asians' and 'Black Panther' bring more minorities to the silver screen, Hollywood casting continues to rely on superficial stereotypes. When the cast of “Crazy Rich Asians,” scheduled for release Aug. 15, was announced in 2017, many celebrated the opportunity to see a major Hollywood film with a cast of Asian descent. 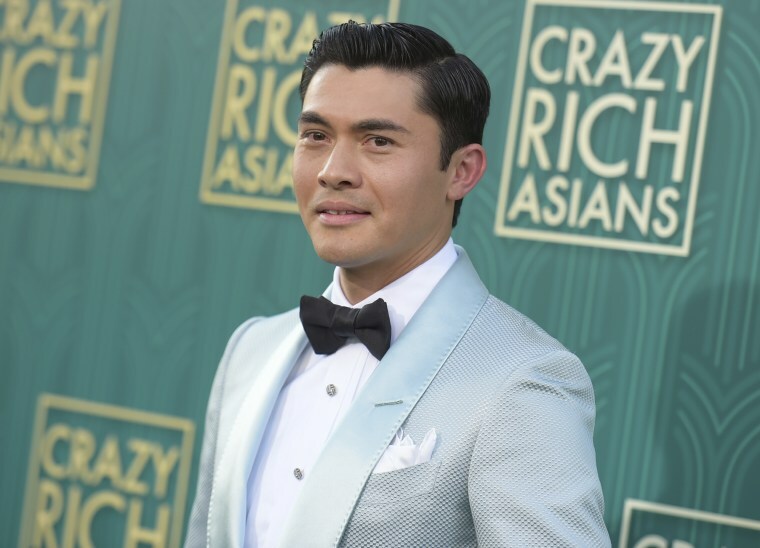 But despite the excitement, there was some backlash centered on the film’s star, Henry Golding, who plays a character of Chinese descent raised in the U.K. Some believed Golding, who is of British, Malaysian, and Singaporean descent, was not right for the lead, and thought the role should have gone to an actor of full Asian descent instead. While there have been calls for Hollywood to consider an actor’s ethnic background when casting a role (last year, Jackie Chan faced criticism when he was cast as a Vietnamese character in “The Foreigner”; before ABC’s “Fresh Off the Boat” premiered in 2015, Randall Park, who is Korean American, addressed his casting as a Taiwanese-American character; and the 2005 Academy Award-nominated film “Memoirs of a Geisha” came under fire for casting Chinese actresses as Japanese), some casting directors say it’s not that easy. Screen Actors Guild rules and guidelines on discrimination prohibit casting directors from asking actors what their ethnicity is. Colorism is a symptom of racism ... It goes hand-in-hand with racism, to the degree that we are addressing racism or adjusting our practices in ways to try to offset the effects of racism, we will likely impact colorism as well. Del Valle said she still believes the television and film industry is looking for Latina actresses of a certain complexion — the commercial industry is looking for Latinas with a Caucasian look, she contends, and darker-skinned Latinas are the norm on the big screen. A similar debate surfaced earlier this year following the release of “Black Panther,” when actor Amandla Stenberg — who uses they-them pronouns — said in an interview that they had walked away from auditioning for the film because “it would have just been off to see me as a bi-racial American with a Nigerian accent just pretending that I'm the same color as everyone else in the movie." Stenberg’s comments decision highlight an issue that some say won’t disappear anytime soon. Rhavynn Drummer, an independent casting director who’s worked on several Tyler Perry films and shows, noted that while lighter-skinned black actresses getting lead roles was more prominent historically, Hollywood has slowly begun moving away from excluding darker-skinned women. Has Hollywood's diversity discussion reached voice acting? In an effort to increase diversity, the Academy of Motion Picture Arts and Sciences invited its largest class ever in 2017, totaling 774 movie professionals. Thirty percent of the class were people of color, according to the Academy. But practical effects have yet to be realized. According to a 2018 report on Hollywood diversity by the University of Southern California's Annenberg Inclusion Initiative, little had changed in the years it had been tracking the entertainment industry. In an effort to help Asian actors navigate the film industry, casting director Julia Kim, a member of the Casting Society of America’s diversity and inclusion committee, started InvASIANLA. The group holds workshops and classes on how to prepare for an audition, take headshots, and reading scripts among other subjects. Kim said she understands how casting Golding could upset fans because of the popularity of the character and the fact that Asians are rarely chosen to play a romantic leads. But, she added, Asian Americans should be happy when someone of Asian descent is cast as a lead. While there are cultural specifics that need to be respected between different Asian ethnicities, Kim said, a good actor will be able to communicate those nuances. The trend for actors of Asian descent is also promising, she noted. Kim said she has seen an increase in the number of Asian actors auditioning for roles. And Hunt said that as more people of color find themselves in positions with creative decision making power, diversity is likely to increase.